Carpenters have a saying, "measure twice, cut once". Retailers are not necessarily so wise. 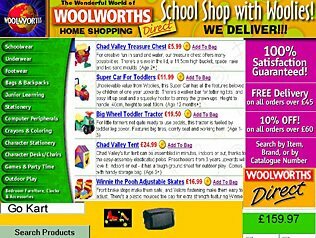 Over the last decade of its life in the High Street, Woolworths embraced the Internet, catalogues and selling direct to people's homes not once but twice. 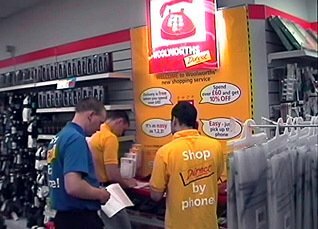 Having established an early presence on the net, and generated millions of pounds of sales from catalogues and telesales, a new wave of Executives closed the operation down after the demerger from Kingfisher, taking a hit of more than £15 million to write off all the plant and equipment and to shed the workforce. Three years later the same management evangelised "elastic walls", a website and a big book catalogue as if it was a brand new idea. They invested many more millions to build it all up again. In doing so they created a whole new maxim "buy one, pay for two"! This page tells the story of Woolworths Direct - a ground-breaking venture that established new channels for the chain and laid solid foundations which were never built on. In the late 1990s many businesses began to seek new channels to market, aiming to pursuade people to shop from home or work. Several retailers launched 'Big Book' catalogues, aiming to break into the lucrative mail order market. 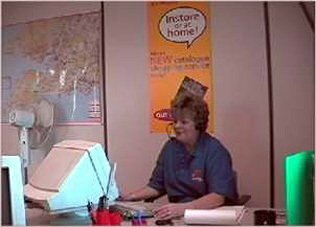 For generations catalogue salesmen had signed up households door-to-door, particularly in poorer areas, offering easy credit terms and the convenience of home delivery. By 1998 a handful of players dominated the market. Their high prices offered an opening for retailers to lure away customers with the lower prices charged in the High Street. In 1997 Kingfisher established an 'Alternative Channels' department at its headquarters to formulate a Group strategy. They asked Woolworths to test the market with a small catalogue-based offer that Christmas. 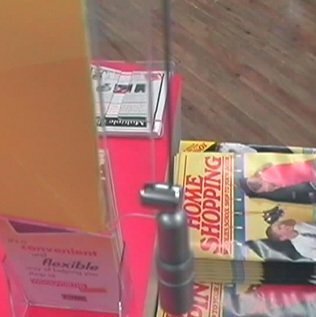 The chain already printed catalogues to help customers to plan their seasonal purchases. This was delivered door-to-door. A leaflet was added in a trial area, inviting readers to order by post or telephone. It offered home delivery for £3.95, or free for orders over £100. As an incentive it promised £10 off the first £50 spent. Salestrac, a fulfillment specialist, was hired to pick, pack and despatch the goods. They already had a call-centre and fulfilment depot in Exeter, Devon. They had established a niche servicing a small number of heavily TV advertised lines, which sold in large quantities. Despite weaknesses in the catalogue design, it generated good sales and lots of learning for the future. 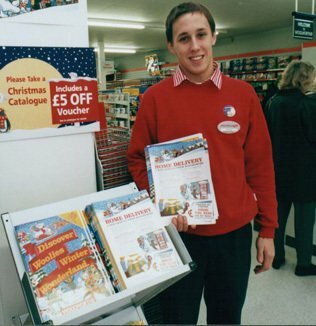 During 1998 there were three further publications, which were distributed nationally through all 800 stores. Experts were headhunted to complement the in-house team, bringing expertise from more established players. This helped to shape the range and lay the catalogue out more productively. The newcomers explained that the industry attracted new shoppers with incentives. Once hooked they were encouraged to buy regularly. As a result each catalogue was published in two versions. A small teaser was mailed to previous customers, encouraging them to collect the full publication in-store. As the year progressed the photography, product descriptions and overall catalogue layout steadily improved, as the new recruits settled in. The Spring and Summer Catalogues turned over £275,000 and attracted 40,000 new customers. This laid a great foundation for peak trading. Within its first fornight a larger Christmas catalogue broke the £1 million mark, with customers spending an average of £65.00 each. 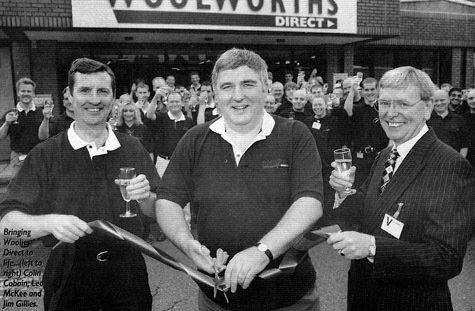 One possible reason for the early success of Woolworths Direct was the strong store engagement. Chris Garthwaite, the visionary behind the offer as Head of New Channels, made a point of recruiting store people into his team. He adopted many of their suggestions about the offer and possible ways to engage store staff. The store look was bold, including a large, backlit cartoon telephone. The store order points were clearly visible from a distance. 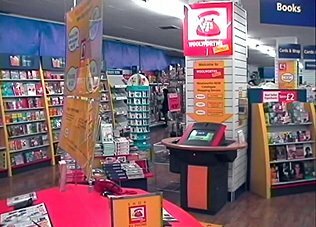 This used simple language to explain the offer, with signs and swinging tickets around the store reinforcing the message. A group of stores in Swindon and the West Country provided a test-bed for new ideas. Those that succeeded were quickly rolled out nationally. The chain also experimented with touch-screen ordering kiosks, testing ahese in a dozen stores. This helped to tackle criticism from commentators about the paper-based approach, and to gather learnings which would help to build a good website. Executives at Kingfisher were well aware of the potential of the web. Keen to match the success that arch-rivals Dixons had enjoyed with Freeserve, they established a new Division, @quot;e-Kingfisher" and acquired the French giant Liberté Surf, and the British e-commerce market leader, Streets Online. When the Company built a new business plan, it targeted sales of £300m through new channels within three years, and plotted the investment and structures that would enable this. In 1999, the IT Director Colin Cobain, who was a passionate evangelist of the new channels, was appointed to the role of New Channels Director. He worked with the MD Roger Holmes to steer through a major investment proposal to buy the SAP Customer Relations Management ('CRM') system, and to acquire a large fulfilment warehouse in Braunstone near Leicester. The two men also parterned Freemans PLC, a top five Mail Order company. The deal outsourced fulfilment and the call centre, as well as securing expertise and consulting for the long term. Cobain approached the role with gusto, beating his sales target. This led to stock shortages and some teething problems, and highlighted the danger of taking orders and payment by post. Despite this 'Direct' went into the new millennium with confidence. Foundations had been laid to sustain the operation for twenty years, and the £300m target was in sight. Cobain also persuaded the Group CEO to authorise a small, ground-breaking venture to establish a web presence. 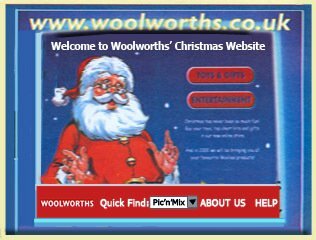 He commissioned Digitas, to get Woolworths.co.uk on-line before Millennium Day. Following the phenomenal success of Woolies interactive TV service... its very own website: www.woolworths.co.uk. The site will allow internet users to choose from around 350 products including toys, gifts and top titles from the Woolies entertainment section. "The website willl allow customers to reach their best loved retailer in yet another way" said head of complementary channels, Jill Arch.. The Woolworths Direct team exceeded all of the goals set by e-Kingfisher. They were considered a role model for others, taking risks and making some mistakes, but learning and growing very rapidly. Everything appeared ready to exploit the new capabilities and drive ahead in the Third Millennium. But events intervened. When Kingfisher announced its break-up plans and appointed Gerald Corbett to head the demerged Woolworths Group, one of his first pronouncements was that the new channels operation was flawed and should be shut down. All of the assets were written off in an eye-watering £15 million exceptional item in the 2001/2 accounts. Three years later the Group CEO Trevor Bish-Jones started the circle again, and invested an even larger amount, to launch of the Big Red Book.